Come see our Jeff’s Auto Repair team at Sandpoint! You want a shop that gives you and your vehicle the attention it deserves. The most important quality for any auto repair shop is integrity. You depend on mechanics to always be honest and accurate when providing auto repair services. We are the premier auto auto provider in the Sandpoint area. We want you to think of us first whenever you have a performance problem with your vehicle. If your vehicle’s braking system not giving you adequate stopping distance, then bring it to us for quality brake repair. Can’t pass emissions? Come to us for accurate emissions repair. Need a pesky check engine light diagnosed? Then you should come to our ASE Certified techs to perform repair service for any of these problems. We got you covered for these and much more, including routine oil changes. We treat our customers like family, and your car like it was our own. Jeff’s Auto Repair provides hassle-free services for your vehicles because we know how important customer service is. Our team is not just servicing vehicles, we’re serving our family. Your vehicle gets the royal treatment at our Sandpoint repair facility. Keep us in contact list in case of any emergency. Cut down on search time by already having a dedicated technician ready to fix whatever’s wrong with your vehicle. Most drivers will wait until their vehicle run into trouble and then find a qualified automotive repair shop. We want to eliminate your vehicle’s downtime by merging it back into traffic as soon as possible. Today is your vehicle’s lucky day! You’ve found a trustworthy team of service your vehicle. We’ll monitor everything that could possibly be wrong with your vehicle, as well as fix anything that could go wrong. Our dedicated team is not here just for today, but we’re here for tomorrow and beyond. We want you to drive your vehicle for as long as you need it. And we want you to retain your vehicle’s resale value. The secret is coming to our expert repair facility for any maintenance or repair services. Our team is ready to provide quality auto repair for your vehicle. Your vehicle will get special treatment using our state-of-the-art diagnostic equipment. Jeff’s Auto Repair in Sandpoint, Seattle is here to answer questions and offer the best auto repair solutions. Give us a call at 206-525-2726 to schedule your next appointment. 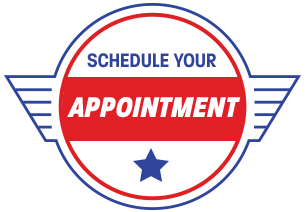 If you’d like to schedule your appointment right now, use our online scheduling system. Just pick a time and day that works best for you, and we’ll meet you here. If you’re ever in the area, feel free to stop by our shop at 9702 Sandpoint Way NE for any answers or repair solutions. We gladly accept all walk-ins!